These are just a few samples of the dollhouses that I can build. 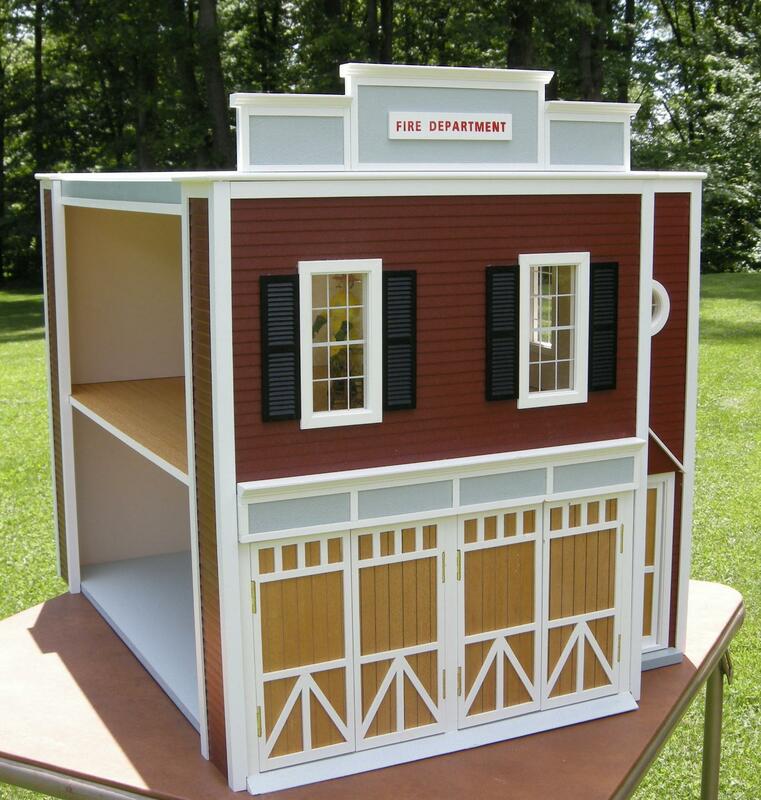 I can build over 250 different dollhouses in any SIZE, STYLE, and PRICE. Email me at dollhousemansions@gmail.com or call my cell 203 768-3816 for more information. 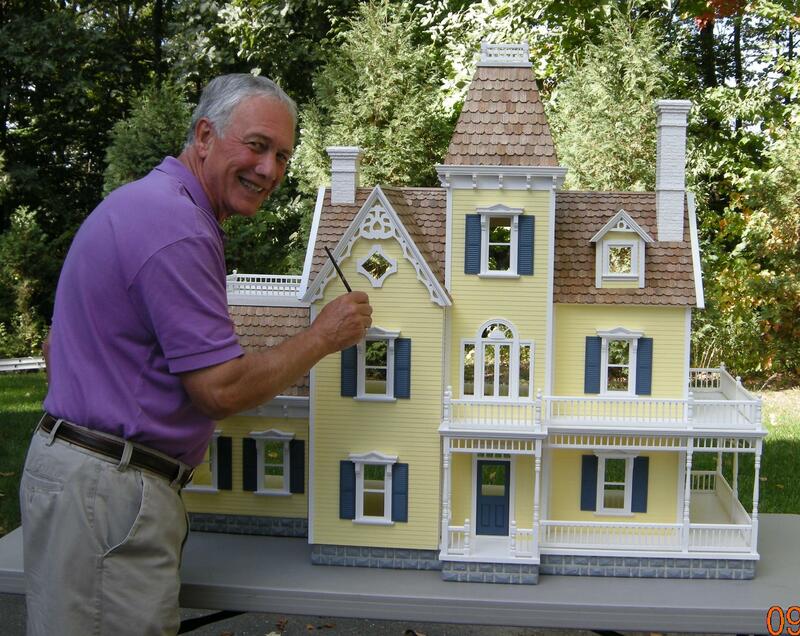 Rick Maccione, Master Dollhouse Builder since 1988, I build quality custom dollhouses with the highest of standards and still enjoy my work after 30 years. I also restore old dollhouses and finish dollhouses for my customers that started them but never had the time to finish. 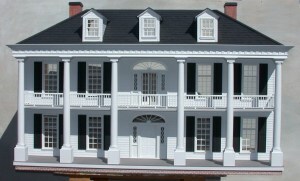 I can also build a replica of your house, or we can design a dollhouse together. My company is built on Trust, Honesty and Quality Workmanship. I’m glad you enjoyed the miniature display at The Gunn Museum. There is a catalog that you could order from me with thousands of miniatures and prices. Please call me at 203 768-3816 for the information. I would love one of those catalogs also, I will call you. Catalog available toward end of Feb., will call you, and I’m glad you enjoyed the Gunn Memorial Museum display of antique Dollhouses. The show has just been extended for another month. YOUR DOLL HOUSES ARE GORGEOUS! CAN YOU CREATE A CUSTOM DOLL HOUSE FROM A PHOTO? Yes I could make a replica of a house from a photo. It requires a lot more time and the cost is more. Please send me pictures of all four sides of the house if possible and what time period do you want it for. I was away on vacation. I checked the Gunn Museum website, but couldn’t find any details about the dollhouse show extension. When is the new closing date? I am coming up to visit my sister in Roxbury, and would like to see the show before it ends. Are there any shops in the area that carry miniature furnishings? I used to visit a shop up near New Milford, but it closed when Rt. 7 was widened. Sorry the miniature show closed on Feb. 17, 2013, I was away on vacation and just got back. Most all the shops in CT are closed, I can order everything made in the world in miniature, but do not stock it. I closed my shop on Main Street in Woodbury and operate from my home by appointment. I’m the major dollhouse builder in New England and have more dollhouse building work than I ever had in the last 24 years building dollhouses. 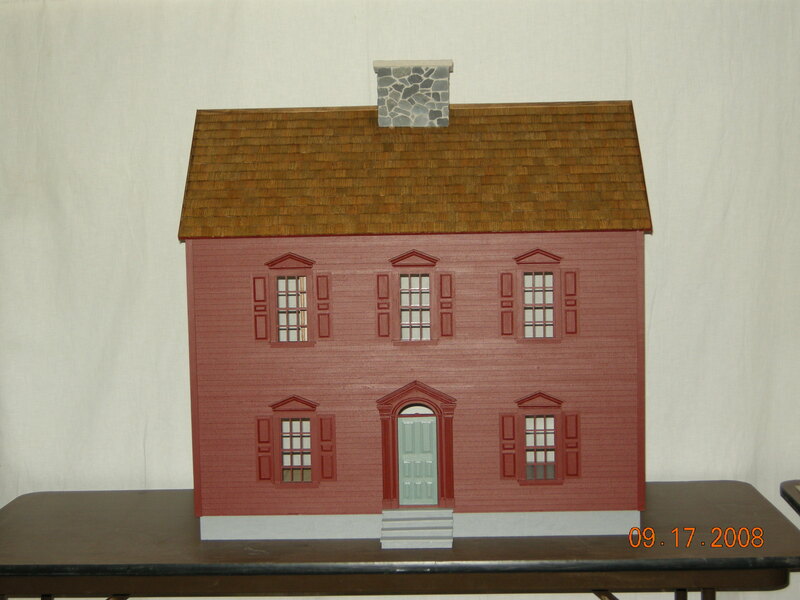 So, I build dollhouse kits, I repair and restore dollhouses, I do electrical work with real wire, hand cut real stone for walks, and even a stone chimney and much more. These dollhouses are absolutely stunning. I’m a senior citizen now but always thought it would be awesome to have a wonderful dollhouse like these Rick makes. When I lived in Ct. years ago I discovered one similar…a salt box I believe it was called…in the woods abandoned with water stained torn wallpaper and a clue of an ancient canning jar with a glass lid in the basement…it was a magic moment and sad at the same time…such a thing of beauty so forgotten and left behind. These beautiful doll houses serve as a reminder of a bygone time when houses had character and a presence that welcomed and preserved memories….stunning…eye candy for sure…a splendid way to use a splendid gift as a craftsman. I make only three dollhouses from Real Good toys that are for 11 1/2 ” Fashion Dolls, that is something that has to be made custom. Mr Maccione, I have just read the article about your Dollhouse work in the Voices. My father in law was working on one but never finished it. It’s now in my attic collecting dust. I don’t have the talent to complete it. Would it have any resale value? I could email or snail mail you a photo? I am sure you could find someone to give it a good home. People email all the time wanting to get rid of an old unfinished dollhouses. This is what happens, if it is an antique of real excellent quality, then I will make them an offer, I don’t resell a dollhouse of this type, but display them at different events to promote the dollhouse hobby. 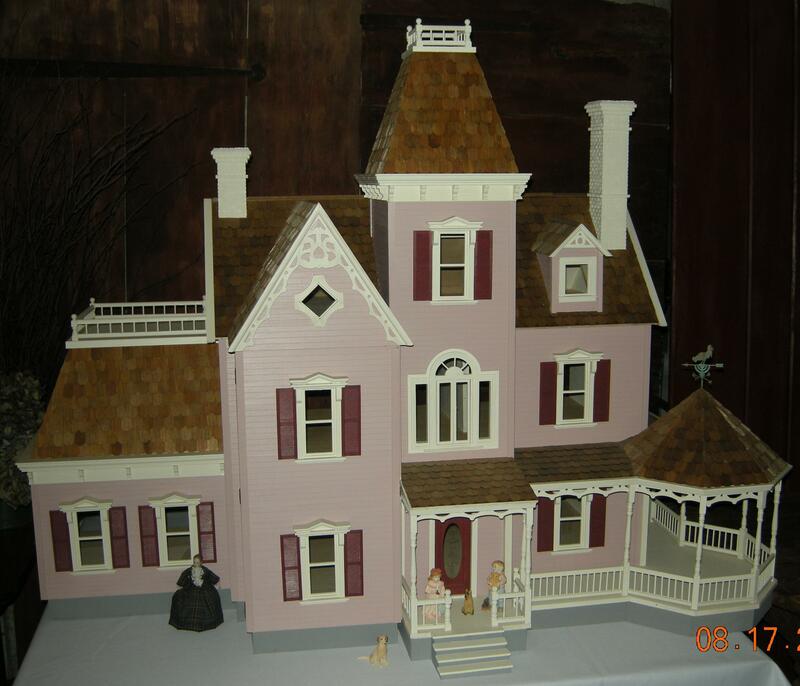 If it is the run of the mill unfinished dollhouse and you want to donate it, I have several groups of people that will take it off your hands, then restore it and donate it to an organization like the Cancer Society or a children’s crisis center, etc. In the 90’s was ranked #1 in the nation for donating my dollhouses to the Cancer Society and other organizations. I don’t have time to do that any more, but I have people in my network that can do it for me. 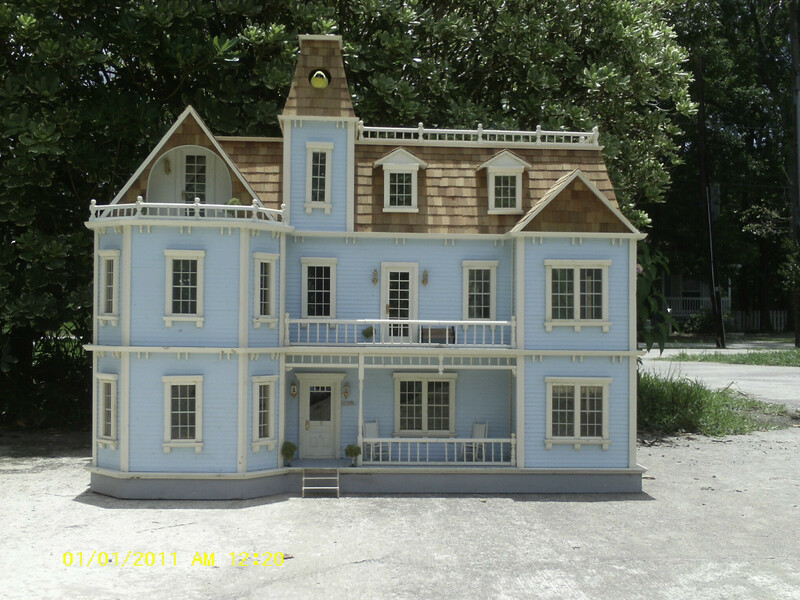 Please call me on my cell 203 768-3816 and please send me pictures of all four sides and the inside to dollhousemansions@gmail.com. I’d love to buy a custom dollhouse for my three children for Christmas. What could you build and could you please email me some prices? Also do you ship to wisconsin? Thanks! 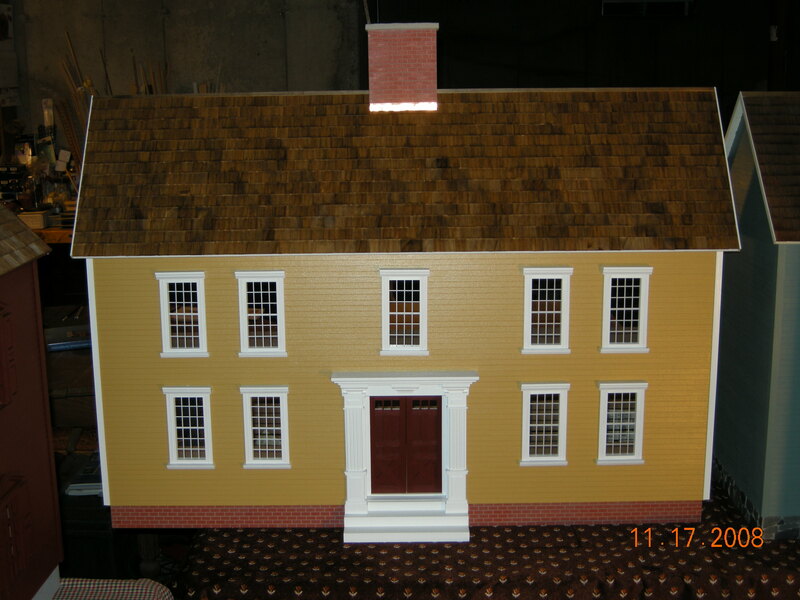 I can build over 250 different dollhouse kits in any style, size and price, best to give me a call on my cell phone 203 768-3816 or email at dollhousemansions@gmail.com and we can discuss some dollhouse options. My husband inherited the doolhouse his father made. When he transported it from Ohio to Connecticut some of the wiring became disconnected. He is afraid to light it because of the fire risk. Would you be able to either repair or rewire the house? This is a replica of his mother’s childhood home. Thanks! Yes I can repair you wiring in your dollhouse, and I use real wire not the tape wire. What type of wiring was used in the dollhouse? Please call my cell 203 768-3816 so we can discuss. I am interested in the yellow with the man standing in front of it. I am interested in 1 inch scale , the cost to make and shipping cost. About how long will it take? Would you please call my cell, I have some questions to ask you before I can give you a price for that yellow dollhouse. My cell is 203 768-3816. In one of your comments that I read you referenced a miniatures source catalogue that you had prepared for sale. Is that catalog available? Hi Bob, sorry to say that catalog is no longer available. 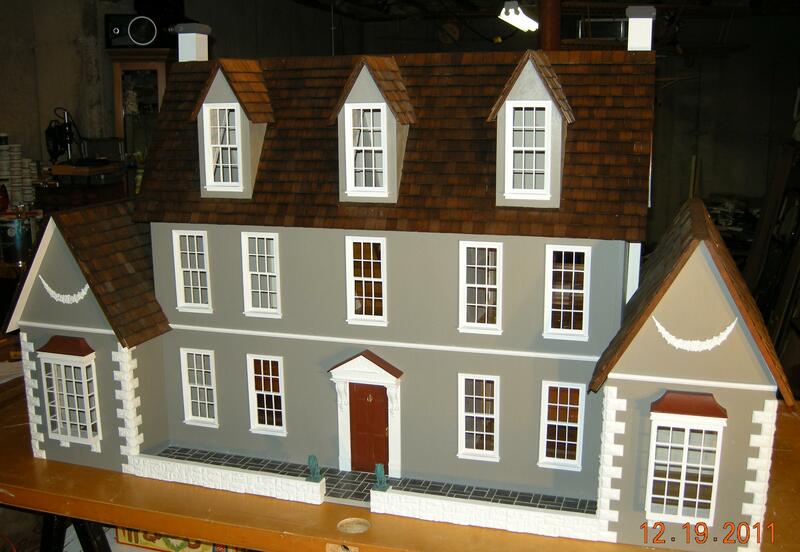 Do you restore Dollhouses? My dad built one and when my daughter was younger destroyed some of it. Since my Dad just passed away, I want to have that Dollhouse restored and given back to my mother. I just need to get the house itself restored. I am sure she is going to want to take care of the inside. Hope you can help me. Yes I restore dollhouses, please call my cell to discuss. Cell is 203 768-3816. Yes I can restore your dollhouse, I think I do more restoration work on dollhouses than anyone else in the country. 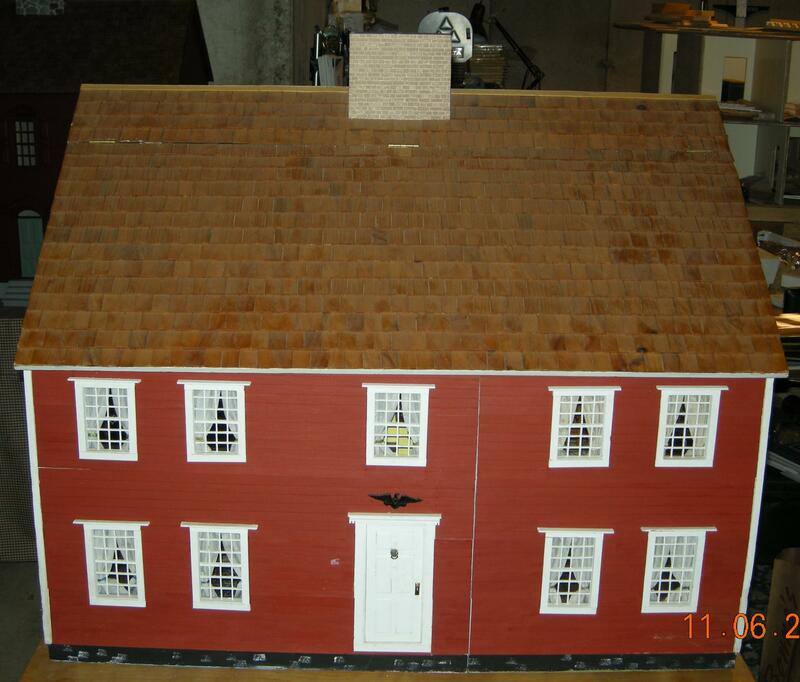 It is a great feeling to restore a special dollhouse for someone. You need to send me pictures of all four sides and a list of items you want me to finish, repair or complete. Then I could give you a rough estimate. Where are you located? 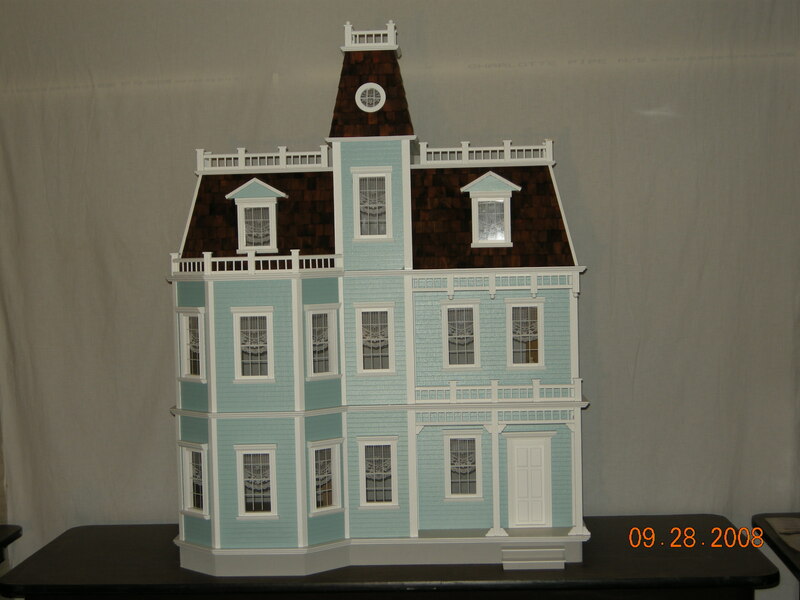 You have to bring or get the dollhouse to my shop in Woodbury, CT 06798. Had I known of your magnificent workmanship when I purchased a kit dollhouse I would not have done so. However, I am asking if u can make a few minor repairs to my Greenleaf dollhouse. Please call me when u return from your vacation. Thanking u in advance. June Walsh 570-229-0547. I live on Main St S in Woodbury. I will call you the first week in May. I’m on vacation right now. Do you have any pictures of a general store you can send me? Can you send me some measurements of the size you want me to build this general store? I love the “townhouse” style above. Could you please send me information on it? Please call my cell phone 203 768-3816 to discuss the townhouse you are interested in.